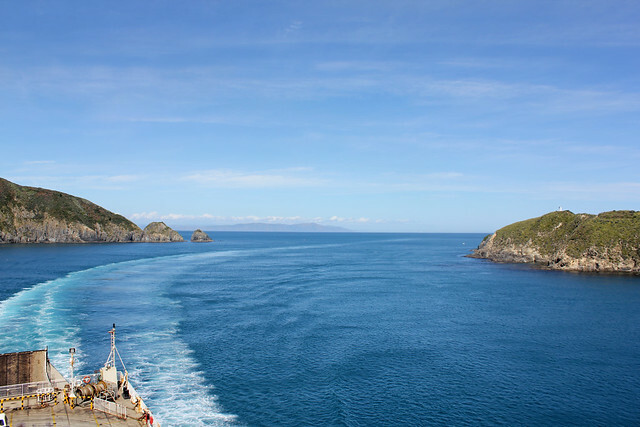 Cook Strait, which divides the North and South Islands of New Zealand, is known for being one of the most dangerous and unpredictable waters in the world. 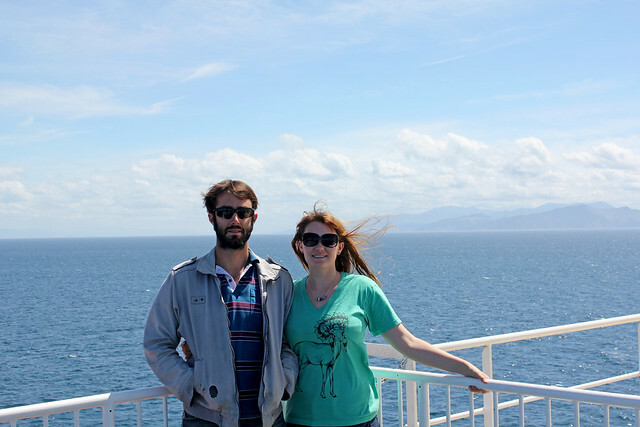 We crossed on a beautiful, sunny day with calm waves. A man we met on the ferry told us the water sometimes crashes over the vehicle deck of the ferry, but winds traveling in opposite direction from the water calmed it considerably. 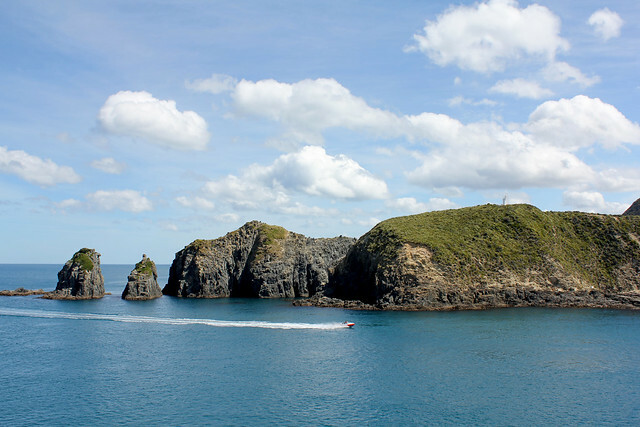 Though our destination was the South Island, for most of the journey we were not heading south. 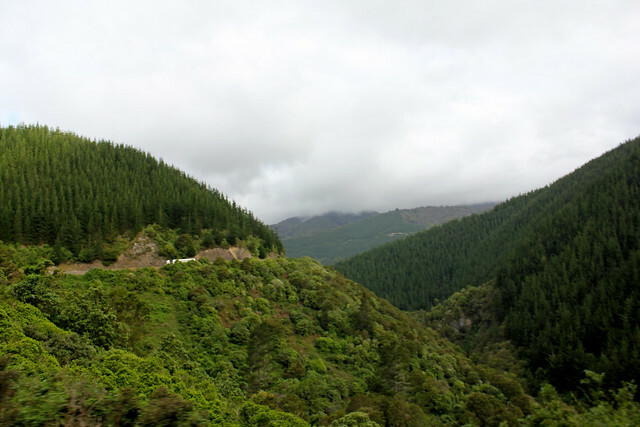 In fact, by the end of the day we found ourselves further north than Wellington, outside of Nelson. See the ferry route on the map below, reposted from the Bluebridge ferry website. 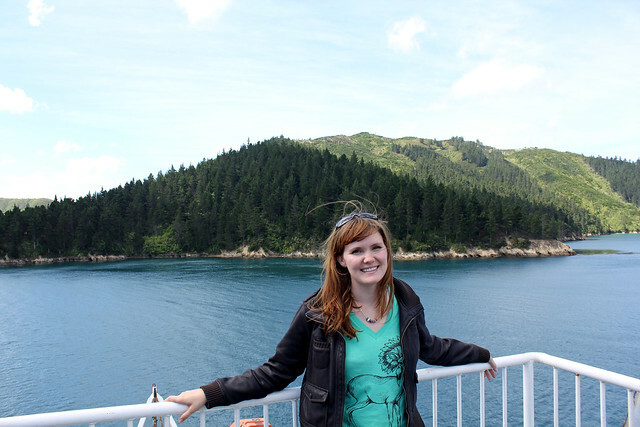 When we arrived in the Picton Harbor, a docked cruise ship greeted us. 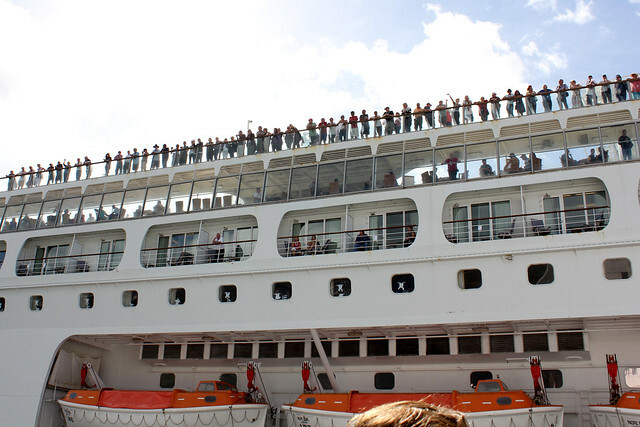 It literally greeted us, with hundreds of people on deck waving and calling to us. It was very surreal, and it made us smile. 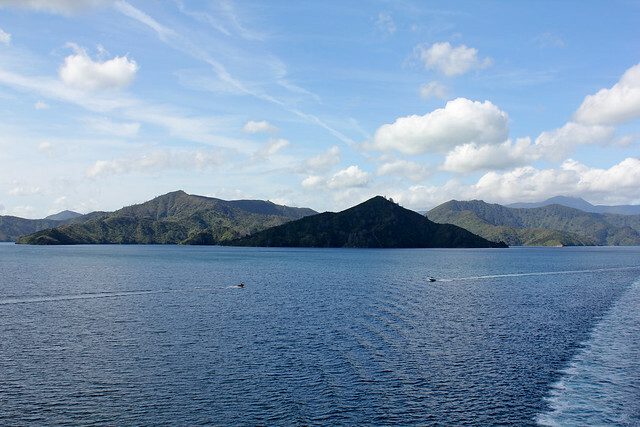 The ferry landed at 5pm in Picton and we drove two hours to Bill's house outside of Nelson via a winding scenic road along the sounds and then some misty mountains. 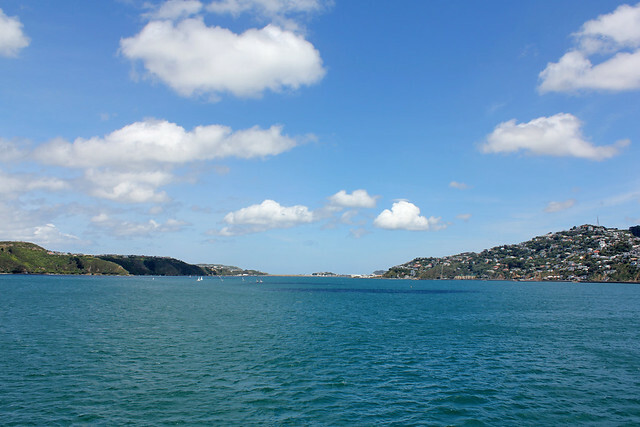 Our day was pleasant and uneventful, but Bill's son informed us there had just been a strong earthquake in the strait, shaking Picton and Wellington. A narrow miss!